The particle theory of matter states that matter is made up of a large number of tiny and discrete particles. Particle Theory of Matter: Matter is made up of a large number of tiny and discrete particles. 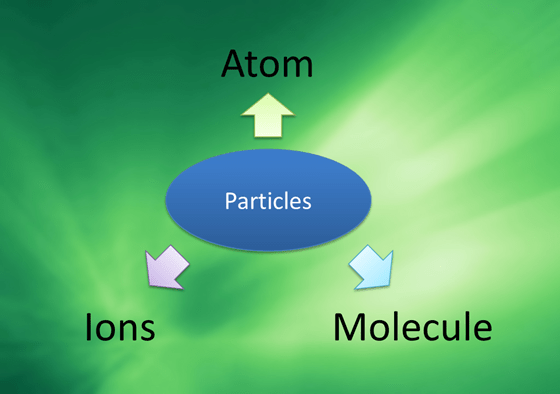 Particles can exist as atoms, molecules or ions. Atom is the smallest, indivisible particle of an element. Molecules are particles that made up of two or more atoms. Ions are particles that carry charge.